Bayern Munich midfielder Leon Goretzka feels his game has already improved just a handful of months after joining his contemporaries Joshua Kimmich, Niklas Süle and Serge Gnabry at the record champions. 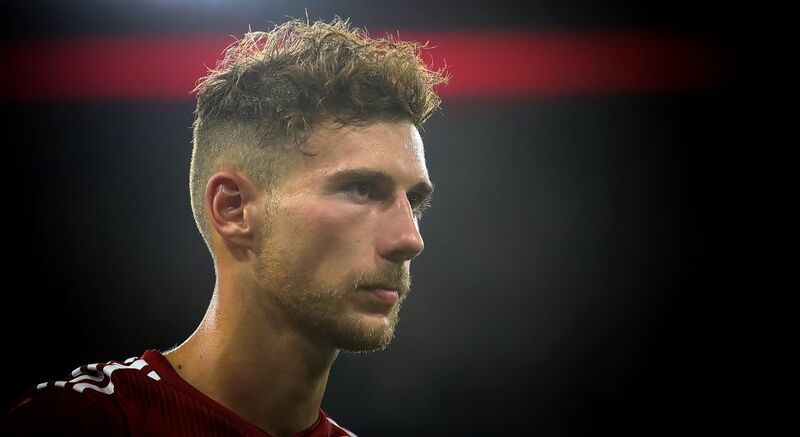 Goretzka moved to Bayern from Schalke in the summer and he marked his starting debut with a goal and an assist against Stuttgart on Matchday 2. The Bochum-born midfielder has settled into his new surroundings remarkably quickly and he has no doubts that he made the right decision in moving south. "The decision to move to Bayern Munich was the next step in my career," he told the Frankfurter Allgemeine Sonntagszeitung. "I decided consciously to move to an environment where I could develop further, and where I think I've probably already improved. For that to go hand in hand with playing a key role for the national team is a positive side-effect for me." Goretzka's transfer to the record champions was announced in January, after he had spent several weeks and months considering his future. "There was a lot of negativity about the amount of time it took me to make my mind up, but I'm grateful to Schalke for giving me this time and not putting me under any pressure," he said. "You can only make such a decision perfectly when you take enough time and that is what I did, until I reached the decision that this was the best place for me. I am 100% convinced of this." In Bavaria, he has joined Kimmich, Süle and Gnabry, with whom he has already enjoyed success through Germany's youth national team ranks, and who have made him feel part of a big, happy family in Munich. "I think we started pretty early in our age group, and I include Timo Werner and Julian Brandt in that because we played together at U16 level too," he said. "When I think back to the way we would greet each other each time we'd meet for a training camp, it was like when a family was reunited after years apart – even if we'd only just seen each other a few weeks earlier. "It was always very special, that's how I felt about it. We were a minute from winning the European Championship with the U17s, then we won the U19 EURO and also the U21 EURO, and at the Olympics we got the silver medal. Those are successes which speak for themselves. Of course we hope to continue with this group of lads. "Can we be the next golden generation? That's what we're striving for, but whether we can achieve that is a big step. Nevertheless, we've got what it takes." The main ingredient for success, in Goretzka's own words, is passion, and he says it is something he shares not only with his fellow professionals but also his friends, whose careers have not taken the same path as his. Because at the end of the day, football unites everybody.